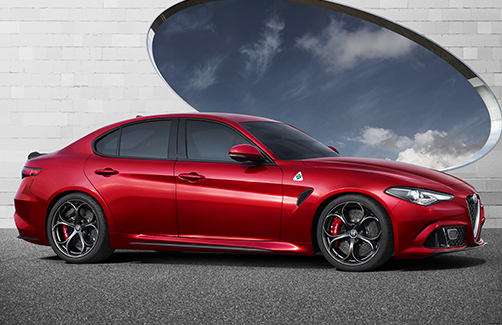 An Alfa Romeo stirs real emotions with its unique history, beauty and speed. 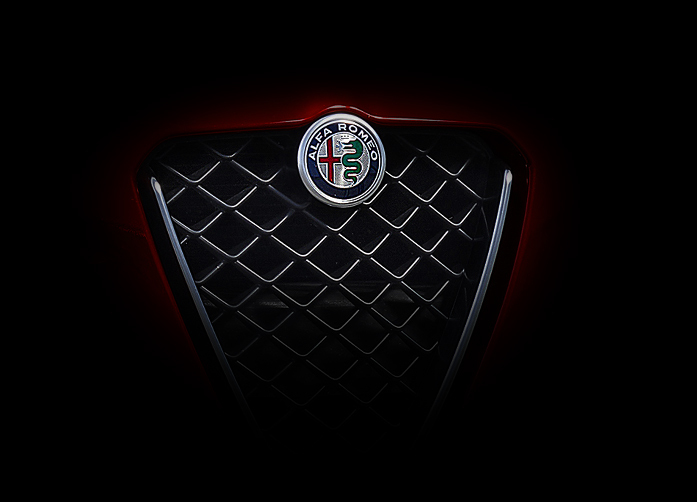 From the start Alfa Romeo has sought the perfect balance of these three elements to fashion form on substance without it becoming mere function. 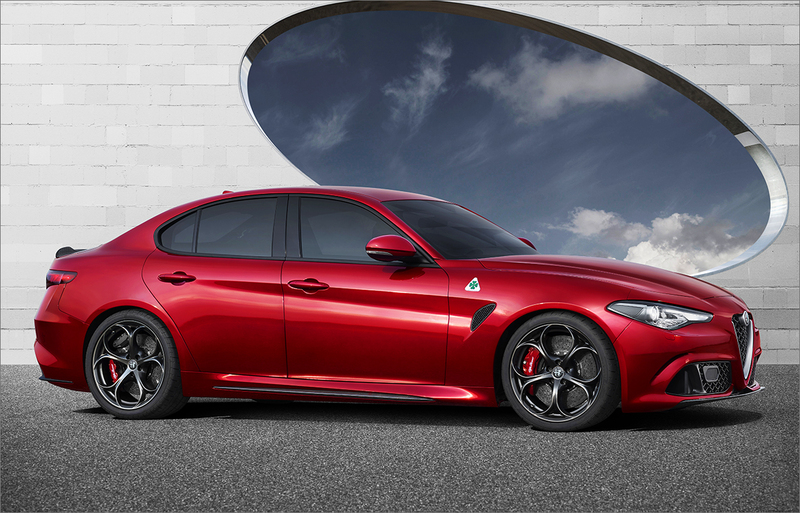 This is what makes the style of Giulia quintessentially Italian and unmistakably Alfa Romeo. 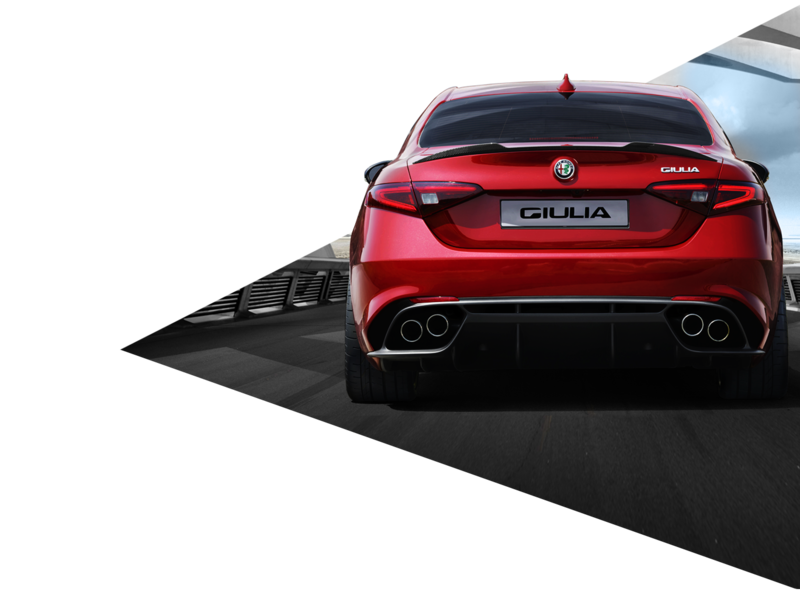 Decisive for the driving pleasure of the new Giulia Quadrifoglio is the 50/50 weight distribution across the two axles. 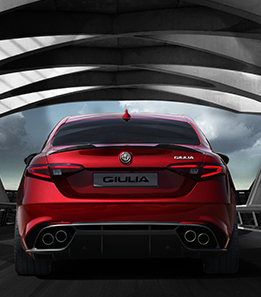 This result is obtained by clever weight management and the use of technical materials, some of which exclusive in the segment. 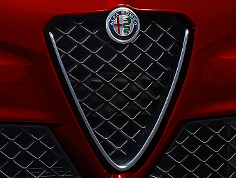 The propeller shaft, the bonnet, the roof and the front seat frame are made of carbon fibre. 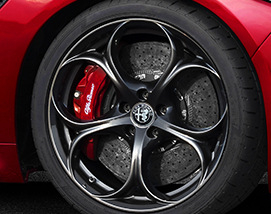 Aluminium is instead extensively used for body parts and other key mechanical components, like the engine and the suspensions. 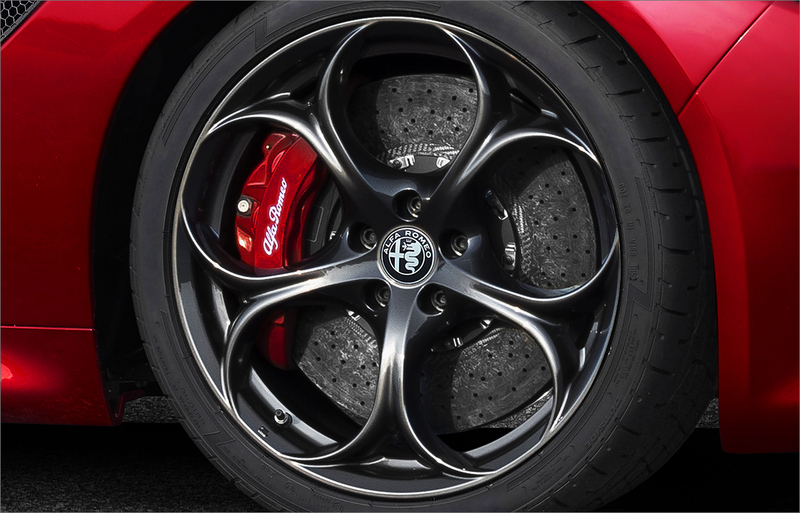 The carbon ceramic brakes contribute to reducing weight in addition to guaranteeing exceptional performance and feel in extreme conditions of use. 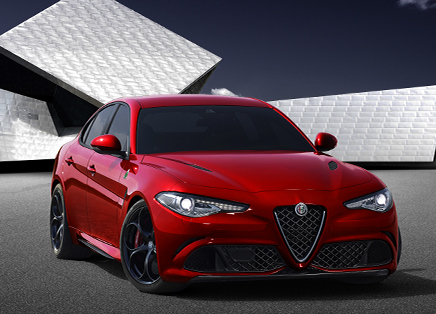 First rate dynamic performance and driving pleasure go hand in hand with the implementation of exclusive technical solutions for the category. 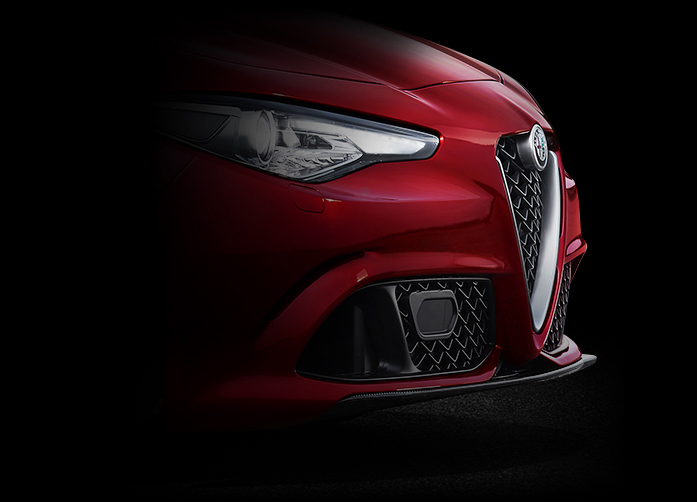 Giulia Quadrifoglio is the only saloon car in the world to fit Active Aero Splitter. 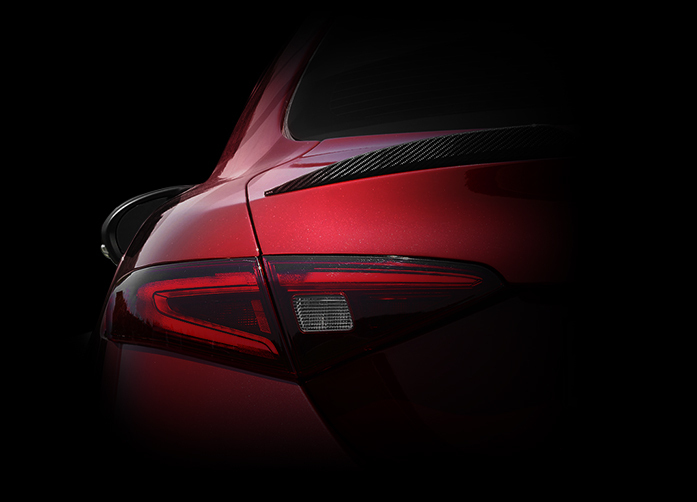 This mobile carbon fibre spoiler integrated in the front bumper increases performance and grip making the car safe and easy to drive even at high speed. 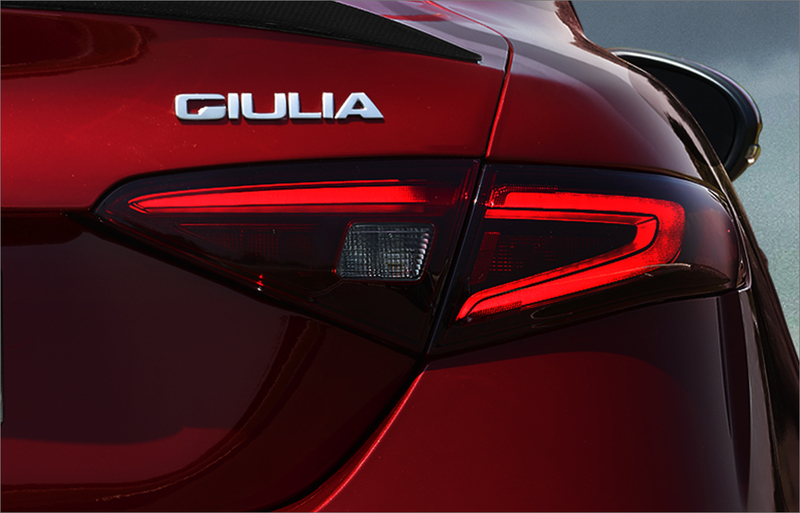 Torque Vectoring technology places Giulia Quadrifoglio at the top of the category. 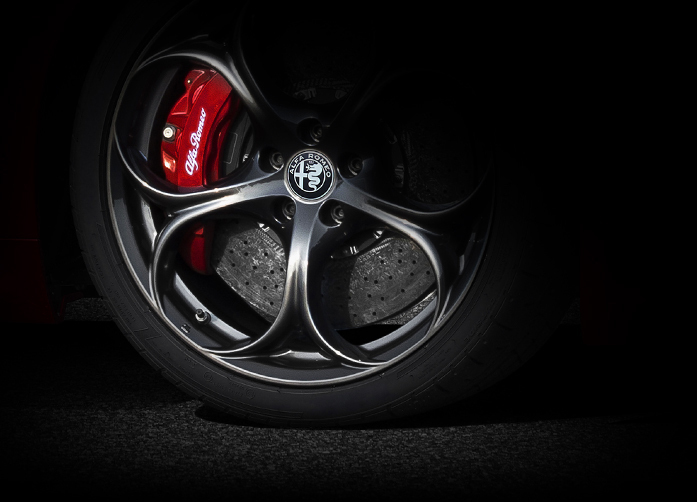 With this feature the rear differential separately controls torque delivery to each wheel in all situations to foster rapid response and real-time stability on all surfaces. 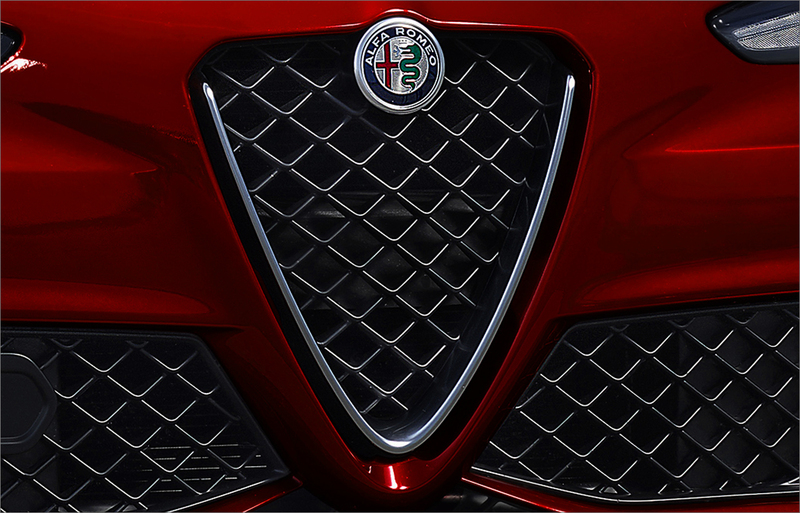 An Alfa Romeo always stands out for the innovation packed in its engines. 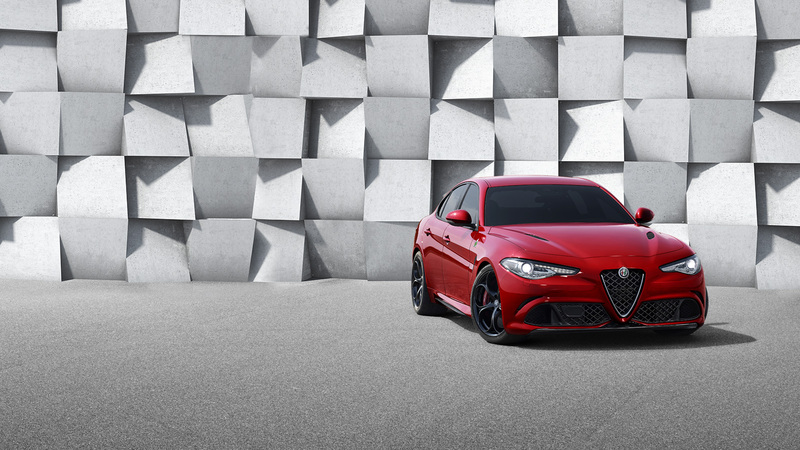 The six-cylinder bi-turbo 510 HP petrol engine is Alfa Romeo's most powerful road engine ever. 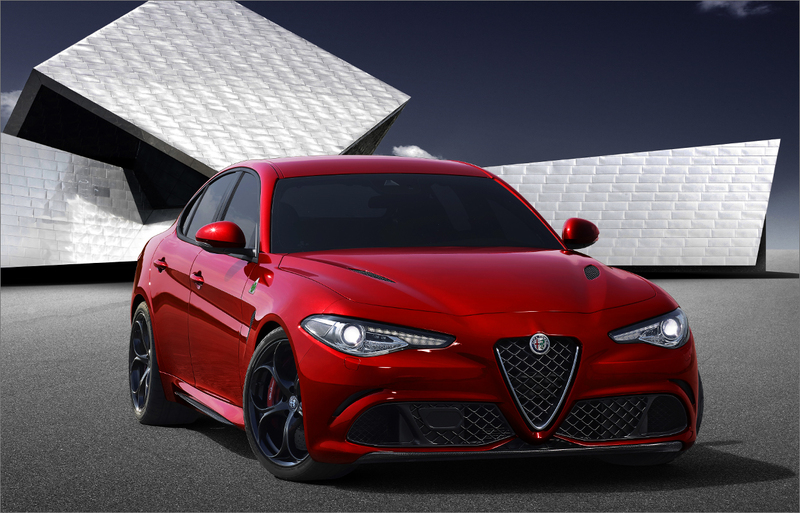 Unique technology and performance combines specific power and sensational torque with best in class thermodynamic efficiency by implementing an electronically controlled cylinder deactivation system. 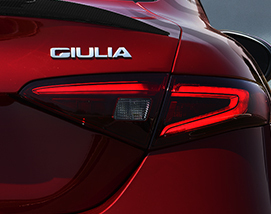 Ultralight materials, first rate technology and outstanding engine power convert into priceless driving dynamics. 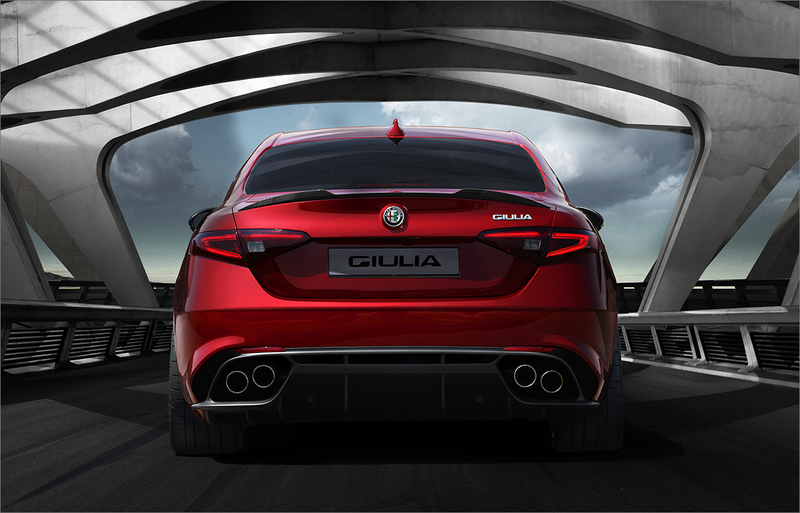 With the best weight-to-power ratio in its category - less than 3 kg/HP - Giulia Quadrifoglio establishes a new performance benchmark in the world of sporty saloon cars: from 0 to 100 in only 3.9 seconds.